Winners: The random winners of Leslie's contest are Scrapper and Jill. Congratulations! Please email your mailing addresses to naliniDOTassistantATgmailDOTcom so we can pass them on to Leslie. First—thank you so much Nalini, for inviting me to be your guest here. I’m such a fangirl and was absolutely shocked to see a note from you in my in-box, telling me you’d enjoyed Cold Sight. That really made my day, so thanks again. I’m a long-time romance reader. I started with Kathleen Woodiwiss’s The Flame and The Flower when I was twelve years old and have stuck with the genre, through thick and thin, ever since. Okay, I occasionally cheat and go on a horror, mystery or classics glom, but I always know that when I’m in the mood to have my emotions twisted and tangled and dragged along on a roller coaster ride, romance novels are my standby. 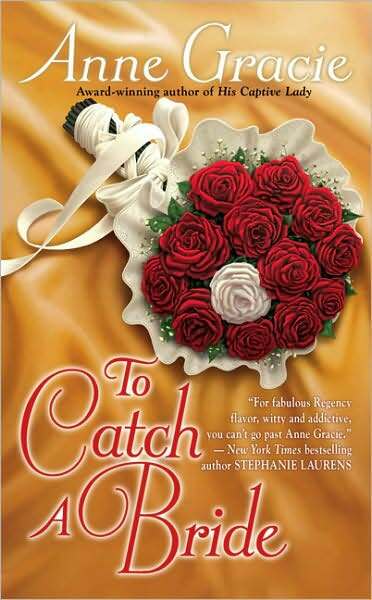 The thing I love most about romance novels is the one non-romance-readers like to sneer at: The happy ending. Some people scoff at the HEA as unrealistic. Sorry, I am living my happily-ever-after with my husband of 25 years, so I firmly believe they are possible. Meaning I am one of those people who really likes that HEA in my romance novels, and woe to any author who doesn’t give it to me. But here’s the thing—I like to be surprised. I really like to be surprised. I am one of those annoying people who can always see the twist coming in the first ten minutes of a movie, and I almost always guess the killer when I’m reading suspense. So if a book or movie can really stump me, I’m much more inclined to love it. In romance, when the biggest story question is answered before you ever open the book—ie: Will the hero and heroine end up together?—you have to find other ways to surprise your reader. I am ever mindful of that when I’m writing, which is why I have not pulled many punches in my dark romantic thrillers. Aside from promising readers that they’ll get a happily-ever-after for the hero and heroine, I want them to understand—and hopefully appreciate—that just about anyone and anything else is fair game. That’s not to say I like to throw-in shocking deaths or horrible surprise twists just for the sake of having them there. If they don’t fit and further the story, I won’t do it. But if a beloved secondary character needs to die, I have to let them, even if it breaks the reader’s (and my own) heart. So what about you—do you open a romance novel wanting everyone you like to have a happily-ever-after? Or are you okay with letting the chips fall where they may, as long as the romantic relationship ends happily? 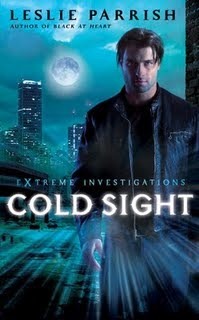 Giveaway: Leslie is giving away one copy of Cold Sight and one of Cold Touch. Leave a comment on this post (if you're reading this on Goodreads, please comment on the original post on the main blog) by 5pm, Sunday 21 August 2011, New Zealand time, to go into the random draw. Winners will be picked using random.org and their names announced on the blog the following Monday. If you don't leave a way for us to get in touch with you, please check the blog to see if you've won and contact us within 72 hours. International entries welcome. One entry per household. No purchase necessary to enter. Void where prohibited. If you follow me on Twitter, you would've seen me tweeting about the fact that I stayed up till 2am the other night, reading Cold Sight, the first book in Leslie Parrish's Extra Sensory Agents series. I literally couldn't put it down. The hero, Aidan, is a psychic, with the ability to "connect" to people, including victims of violent crime. He's helped find and save people in the past, but things went terribly wrong in his last case. 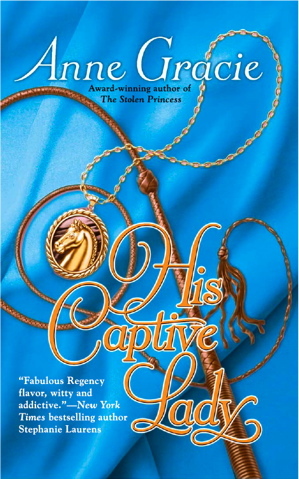 As for the heroine, I really liked Lexie - it wasn't just about a story for her. The victims mattered to her as people, and she'd do anything she could to save them. Though this is labelled as paranormal romance, for me it read more like a dark, gritty and gripping suspense with paranormal elements (being the extra sensory abilities of Aidan and the other investigators) and a romantic thread. But I didn't feel short-changed with the romance - I believed in Aidan and Lexie's relationship. I will warn you that the book is dark, and the villains do some truly evil things, but if you're a suspense fan, I think you'll enjoy Cold Sight. The only series I can think of to compare it to is Kay Hooper's Bishop/Special Crimes Unit books - they're both very different, but there's that compelling mix of strong suspense, paranormal elements, and romance. You can read some more in-depth reviews of the book at Smexy Books, All About Romance and Book Binge. This was my first book by Leslie Parrish, but I have a feeling she's going to become a favorite author. I've already got Cold Touch, the second book in the series (about an investigator who experiences the last two minutes and ten seconds of a murder victim's life if she touches the body). Have you read this series? Thoughts? 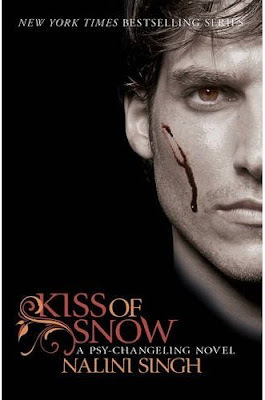 The UK hardcover of Kiss of Snow is now out! I know many of you have been waiting for this edition - I hope you enjoy! 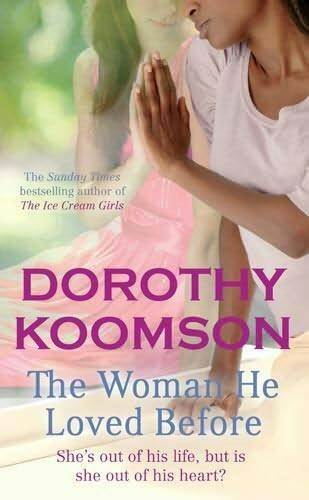 I read my first Dorothy Koomson book this week. The Woman He Loved Before is difficult to categorize, but I'd call it dark women's fiction, with a compelling mystery. Even though I knew from the start of this book that something bad was going to happen to/be revealed about the characters, I couldn't put it down. Tense and moving The Woman He Loved Before explores if the love you want is always the love you need – or deserve. 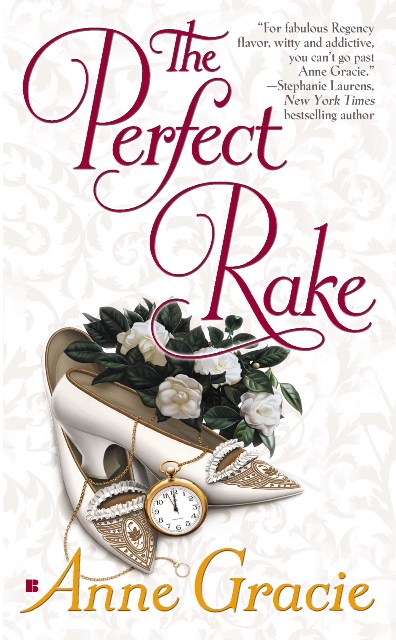 Karen at Karen Knows Best did a great review of this book on her blog, so check it out. The excerpt she quoted from Eve's letter was what originally hooked me. Your turn - what are you reading and loving this week? From the comments and e-mails I'm getting, it looks like a lot of people missed the announcement about the next Psy/Changeling book, so here's a roundup of the info I've shared so far. What I haven't shared until now, is that Hawke and Sienna will also have a very strong presence in this book. We're going to see the next step of their relationship, and I think the book will interlink very closely with Kiss of Snow in that sense. I can't share anything more at this stage - I'll probably talk a little more about the book once I have a completed near-final draft. Also, I always post release info on the blog and website, but if you'd like to make sure you stay up to date with all the news, here's the link to sign up for my newsletter (please remember to click the confirm link sent to your e-mail after you sign up). The newsletter goes out about once a month (less if I'm traveling or on deadline). Winners: Thanks for all your comments everyone! The random winners of the ARCs are ERIKA and ROXY. Congratulations! Please e-mail your mailing address to my assistant (nalini DOT assistant AT gmail DOT com) within 24 hours. As you all know, I'm writing book 4 of the Royal House of Shadows series, titled Lord of the Abyss. 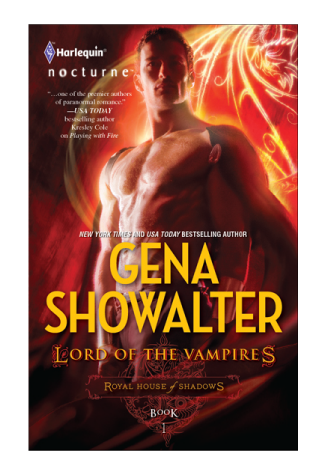 Book 1 is Gena Showalter's Lord of the Vampires. Thanks to the publisher and Gena, I have two ARCs of Lord of the Vampires to give away. To enter, leave a comment on this post with the name of your favorite vampire (from books or movies, or television...the choice is yours!). (If you're reading this on Goodreads, please leave your comment on the original post on the main blog). This is going to be a quick contest, as I want to get the books to the winners prior to the release date of August 23rd. Leave a comment by midnight, Wednesday, August 10th 2011, New Zealand time, to go into the random draw. Winners will be picked using random.org and their names announced on the blog on the following Thursday afternoon. If you don't leave a way for us to contact you, please make sure to check the blog to see if you've won. If we don't hear from the winner(s) in the twenty-four hours after the winners are announced, we'll pick a new winner or winners. International entries welcome. One entry per household. No purchase necessary to enter. Void where prohibited. You all know how much I loved Dragon Bound by Thea Harrison. I had a chance to read the second book in the series, Storm's Heart, early, and adored it, too. Storm's Heart is now out, so check it out! Winner: Thank you all for your comments! The random winner of the book given away by Anne is LaniM. Congratulations! Lani, please e-mail my assistant with your mailing details, so we can pass them onto Anne. (nalini DOT assistant AT gmail DOT com). Keri (unpublished writer) "What sort of books do you write?" 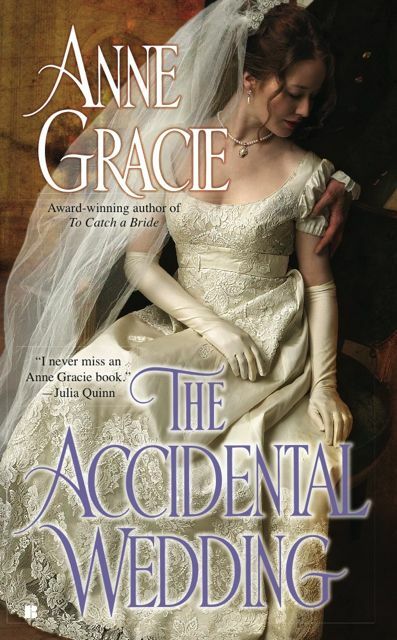 Anne: (unpublished writer) "Regency historicals." Keri (pulling a face): "Historicals? How boring." Anne (narrowing eyes): "Why what do you write?" 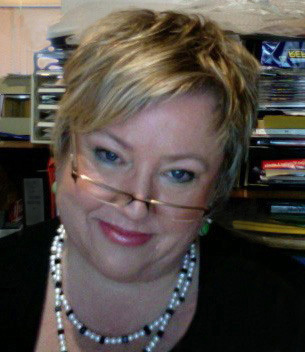 That was Keri Arthur, and even though we each had no interest in what the other wrote, she and I became friends. We both got published. I bought her books and they sat unread on the shelf. They were paranormals so I knew I wouldn't like them. So I read my Keri Arthur books and then I read Nalini's Psy Changeling series and of course I'm now a huge paranormal reader, because what's not to love about gorgeous heroes, strong heroines and exciting stories? It was my own preconceived notions of what they were that kept me from paranormals for a long time. Prejudice. I was so sure I wouldn't like them. But the thing is, a good story is a good story, and unforgettable characters leap off a page whether the book is a paranormal or a historical or a contemporary. People often think the same thing about historicals. "Historicals? Why would I want to read them? Everyone in them is dead," another writer friend of mine once told me. Of course, being a friend, she forced herself to read one of mine and she shocked herself silly when she actually enjoyed it. She was sure she wouldn't like historicals because she hated history at school. As if somehow a historical romance was a dusty old tome filled with boring facts. But history is just a setting, atmosphere, a world to escape into in the same way you can enter into the world of a paranormal. History provides the background, the texture, some of the detail. But if a historical romance is doing its job, you shouldn't even notice the history - you'll be reading for the story, for the characters, the thrills and spills. Just like any other book. And I love getting emails from readers that say things like: "Yours was the first historical I ever read, and now I can't get enough of them." 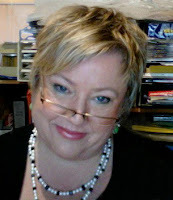 A couple of years ago Keri Arthur started reading regency historicals. She read my books, Eloisa James's, Julia Quinn's... "Why didn't anyone tell me historicals were so much fun?" she complained. And we had a laugh about our attitude change. So what about you? Have you been blind like I was? Are there any subgenres you haven't given a fair go to? Haven't really tried out? Given up after one bad experience? And what about a recommendation for someone that's new to your favorite subgenre? *Rules: Contest closes Friday 5th August 2011, 9am New Zealand time. Open internationally. One entry per household. No purchase necessary to enter. Winner will be chosen randomly using random.org and his or her name(s) posted on this blog on Saturday 6th August 2011. Void where prohibited.